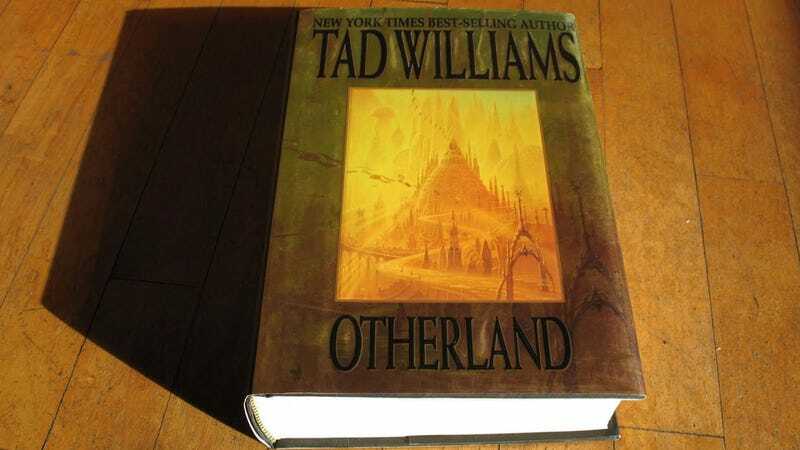 I got excited in 2008 when news hit somebody was making a game based on Tad Williams' Otherland series of books. That game never turned up. Since it was an MMO, I am already over it, and now excited all over again because Otherland is being turned into very expensive motion pictures instead. The books, set in the not-too-distant future, are about a video game gone mad, a planet's obsession with virtual reality coming undone when people start entering their game worlds and never coming back out again. Warner Bros., fresh off the completion of the Harry Potter series, apparently wants to turn Otherland into its next tentpole franchise, with scripts already being kicked around. UPDATE - Well hello, what's this? The game is still in development? Been a while, but at least it's not as MIA as first thought!